Stepter state record 42.18 in 300H. Allen 37.04 300H! Fast miles by Hanley, Verdon at Adidas MOC. Arroyo 16/32 double in FL. We were on site in Tallahassee with video, photos, and results. 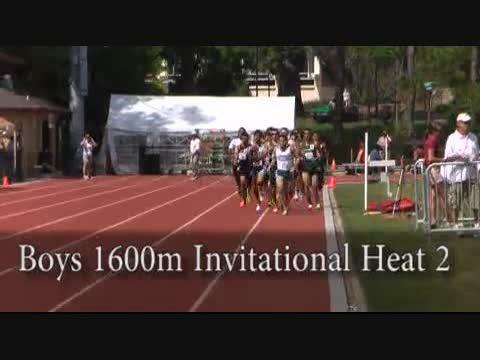 Check out highlights from the boys 1600m Invitational (Heat 2) at the FSU Relays. 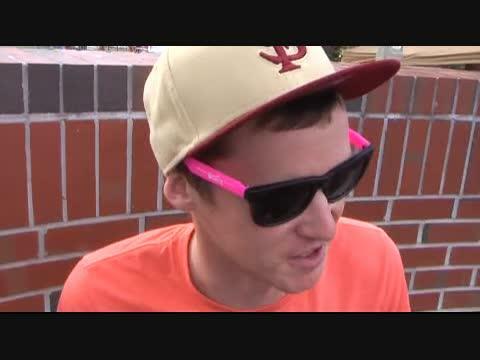 Former FSU standout Ciaran O' Lionaird talks about his time running for the Seminoles, the World Championships, and his professional life. 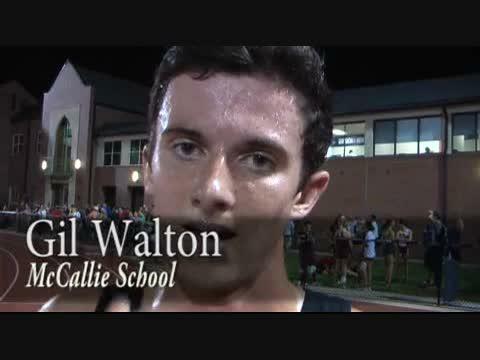 McCallie School senior Gil Walton made the trip down from Tennessee to compete in the FSU Relays and finished second in the boys elite 3200m. 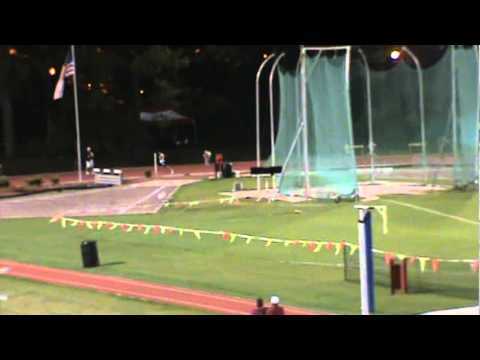 Check out highlights of the 400 meters at the FSU Relays. 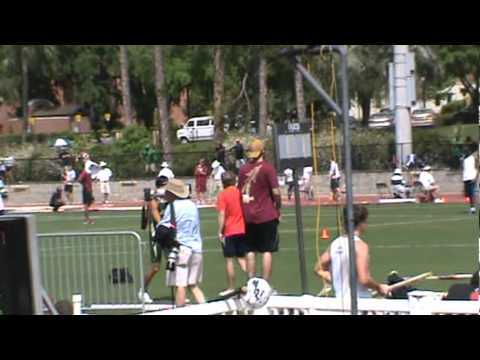 Check out highlights of the boys 4x800 meter relay at the FSU Relays. Lake Brantley senior Otniel Teixeira won the 800 meters at the FSU Relays. Chiles senior Lily Williams bested a very competitive field in the girls elite 3200 meters at the FSU Relays. 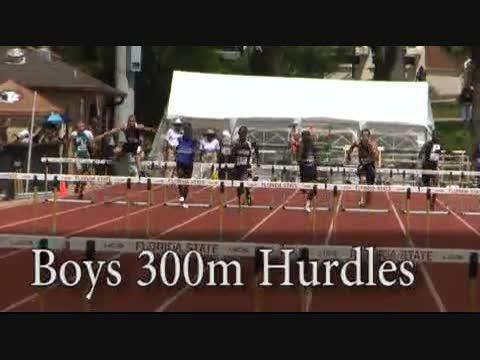 Check out highlights of the boys 300 meter hurdles at the FSU Relays. 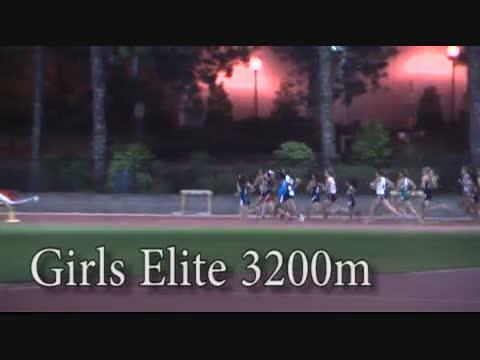 Check out highlights of the girls elite 3200m at the FSU Relays. 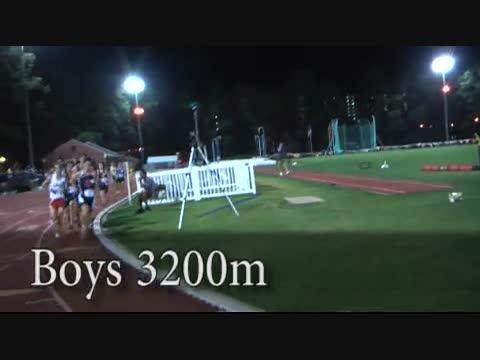 This race was one of the top events of the night. 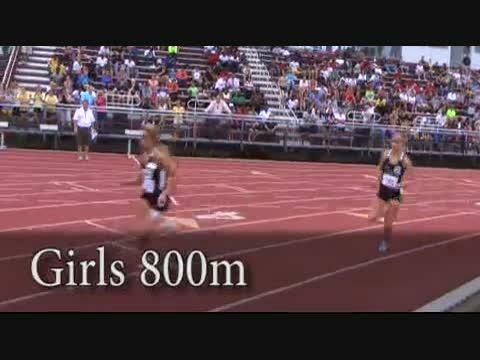 Check out the highlights of the girls 800m at the FSU Relays. 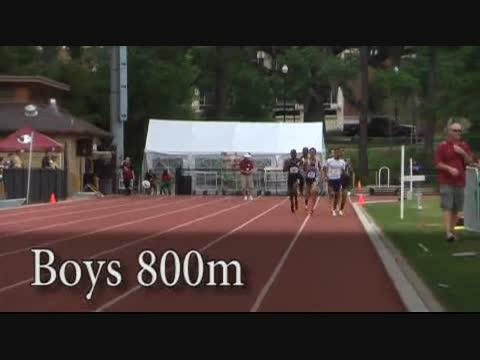 Check out highlights of the boys 800m from the FSU Relays. 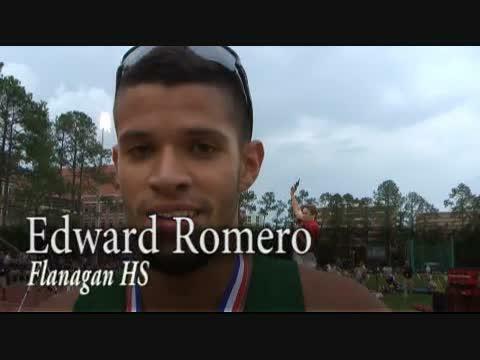 Flanagan senior Edward Romero finished in second in the 800m with an impressive time of 1:53 and change at the FSU Relays. 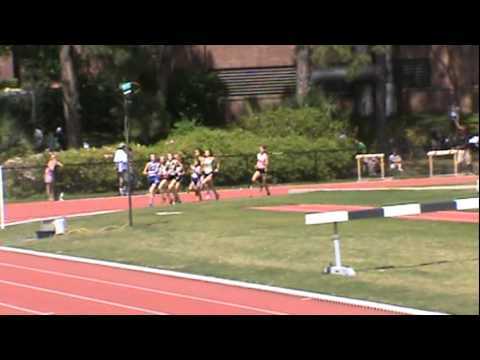 Check out highlights of the girls invitational 1600m (1st heat)at the FSU Relays. 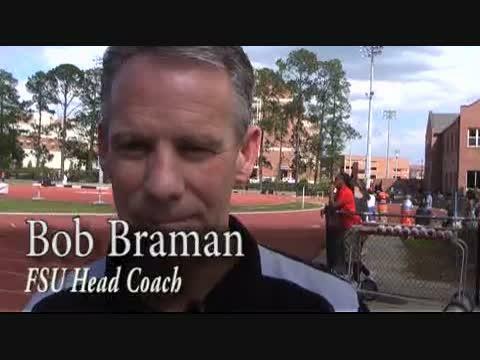 Florida State Head Coach Bob Braman talks about this years 2012 FSU Relays. 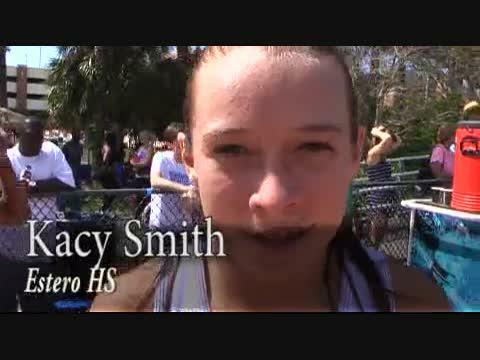 Estero junior Kacy Smith finished third in the 1600 and 15th in the 3200 at the FSU Relays. Winter Park senior Billy Anguish finished third in the boys 3200m invitational (2nd heat) at the FSU Relays. 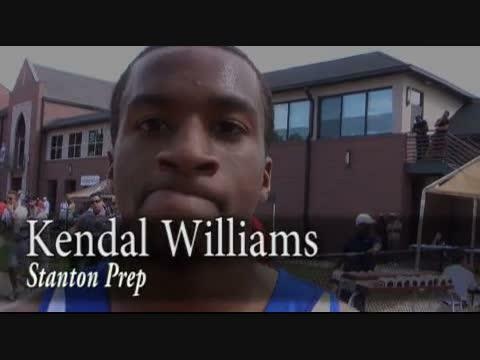 Stanton Prep sophomore Kendal Williams won the boys 100m in a time of 10.61 at the FSU Relays. 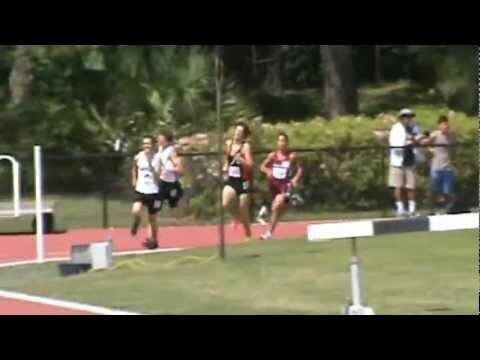 Check out highlights of the boys 3200m at the FSU Relays. Former FSU standout Hannah England talks about her time as a Seminole, her experience at the World Championships, running professionally, and much more. Lake Mary Prep junior Abby Hani finished first in the 400, third in the long jump, and placed in the top ten in the 100 meter dash as well at the FSU Relays. 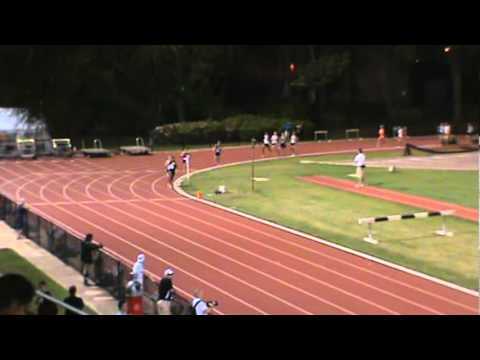 Check out highlights of the girls 400m at the FSU Relays. 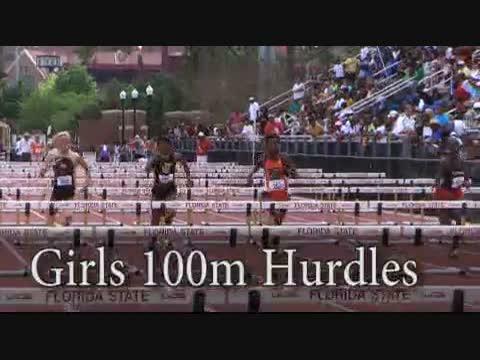 Check out highlights of the girls 100m hurdles at the FSU Relays. 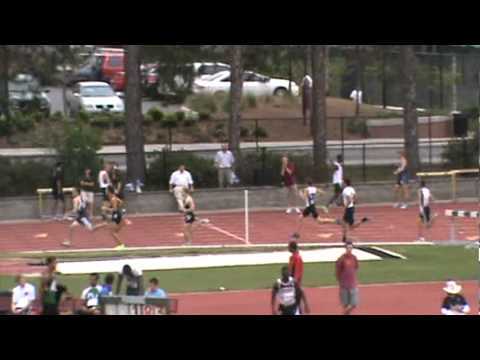 Check out the highlights of the second heat of the girls 1600m invitational won by Lakewood Ranch junior Olivia Ortiz. 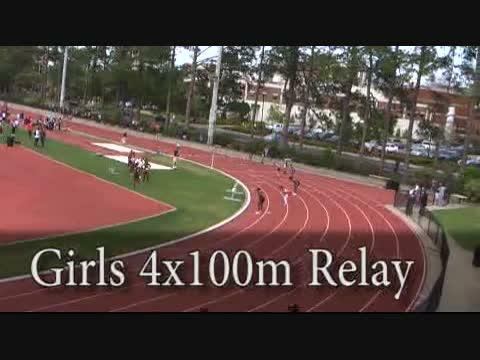 Check out highlights of the girls 4x800 meter relay at the FSU Relays. 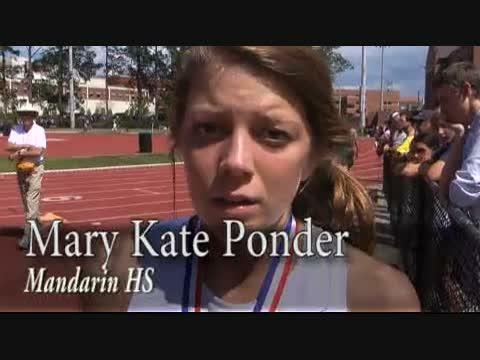 Mandarin senior Mary Kate Ponder finished second in the 1600m at the FSU Relays. 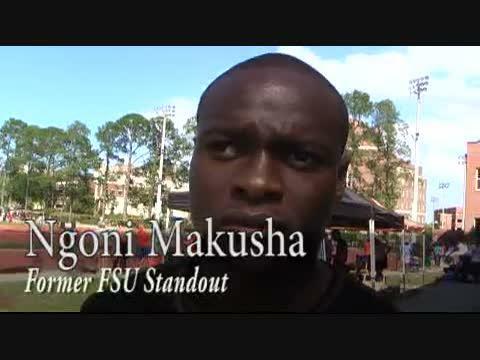 Former FSU standout and Bowerman Award winner Ngoni Makusha talks about his time at FSU, winning the Bowerman, World Championships, and much more. 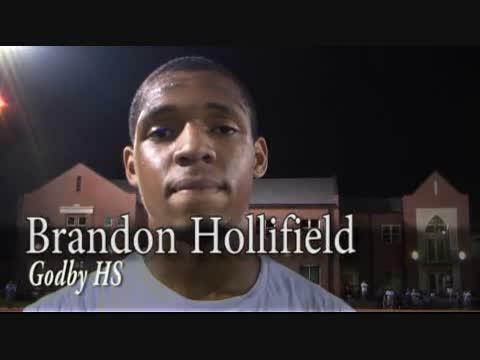 Godby senior Brandon Hollifield won the boys high jump with a mark of 6-09.75. 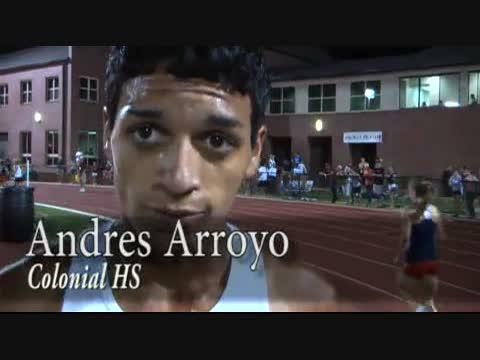 Colonial junior Andres Arroyo won the elite 3200m in a time of 9:10.37 at the FSU Relays. 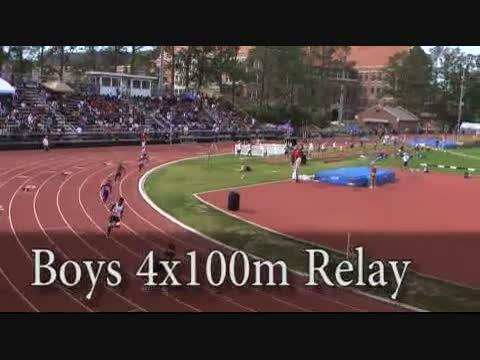 Check out highlights of the boys 4z100 meter relay at the FSU Relays. 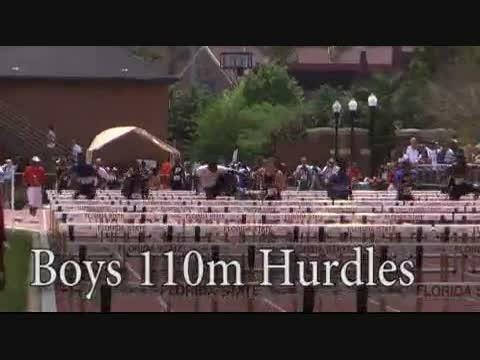 Check out highlights of the boys 110m hurdles at the FSU Relays. 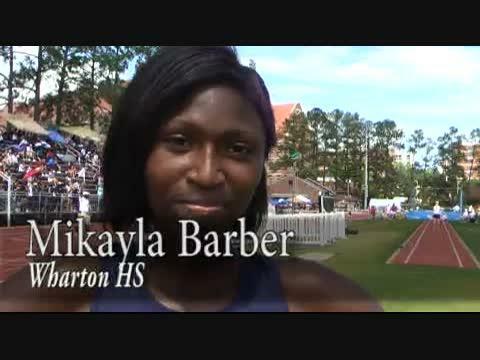 Wharton junior Mikayla Barber won the girls 300m hurdles at the FSU Relays. 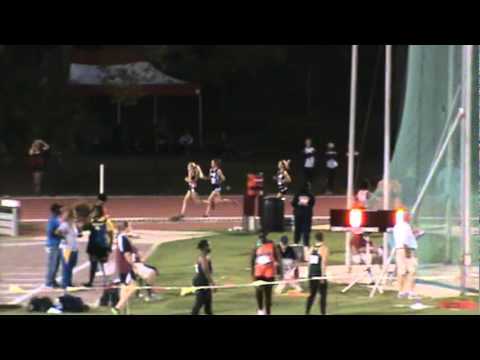 Check out highlights of the girls 100m at the FSU Relays. 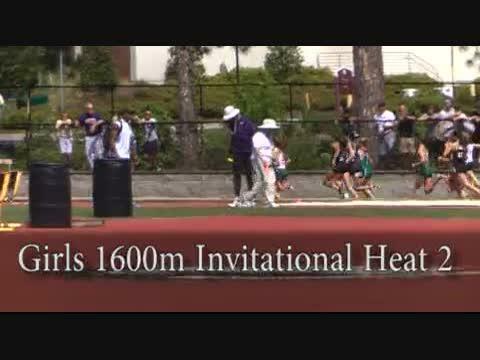 Check out highlights of the girls 4x100 meter relay. 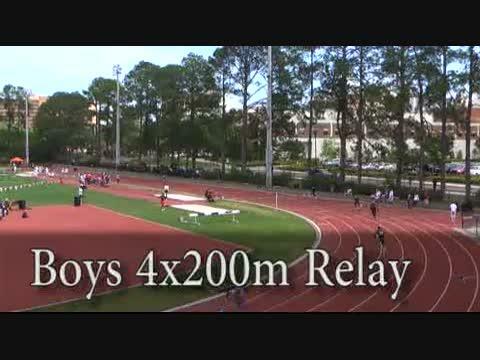 Check out highlights of the boys 4x200m relay at the FSU Relays. 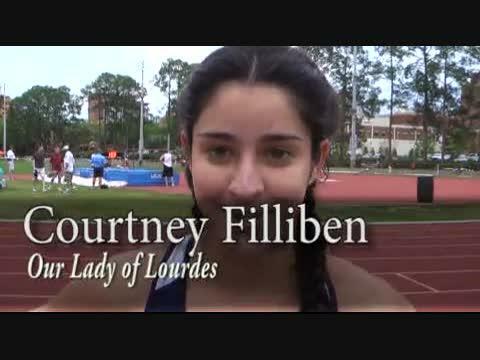 Courtney Filliben of Lourdes won the 800 meter race at the FSU Relays. 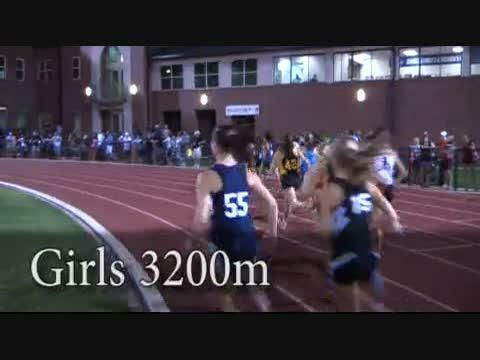 Check out highlights of the girls 3200m from the FSU Relays. 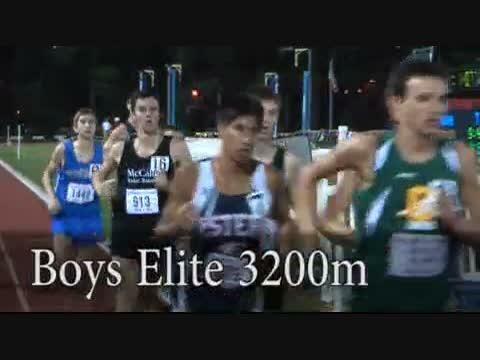 Check out highlights of the boys elite 3200m at the FSU Relays. 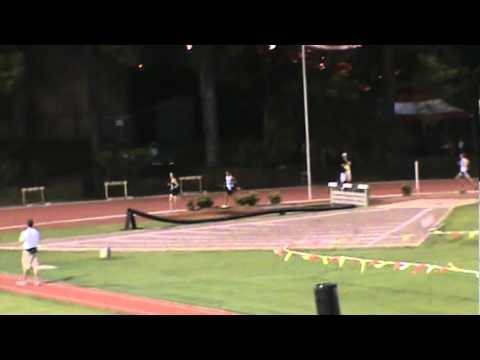 Check out highlights of the girls 300m hurdles at the FSU Relays. 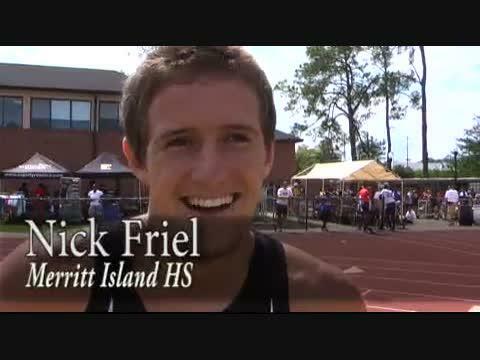 Merritt Island senior Nick Friel won both the 110 and 300 meter hurdles at the FSU Relays. 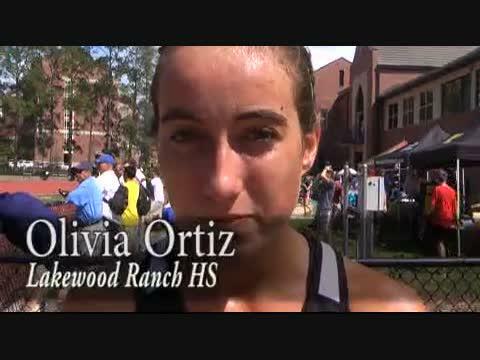 Lakewood Ranch junior Olivia Ortiz had a fantastic weekend at the FSU Relays. She won the 1600m invitational and finished second in the elite 3200m. 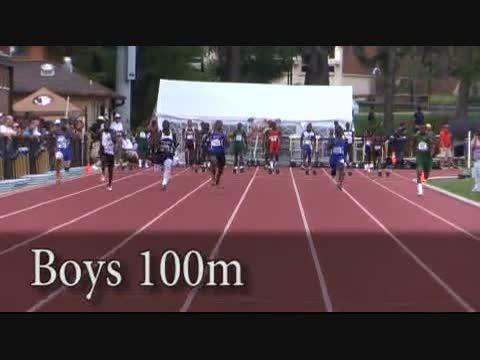 Check out highlights of the boys 100m at the FSU Relays. 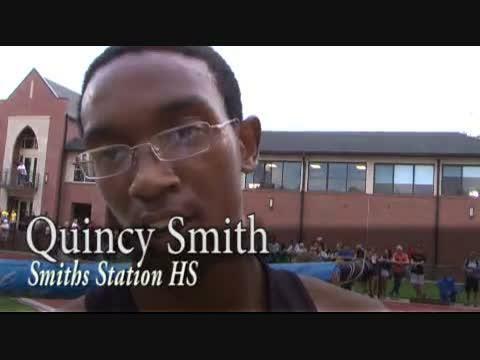 Smith Station senior Quincy Smith wont he 400 in 47.50 at the FSU Relays.